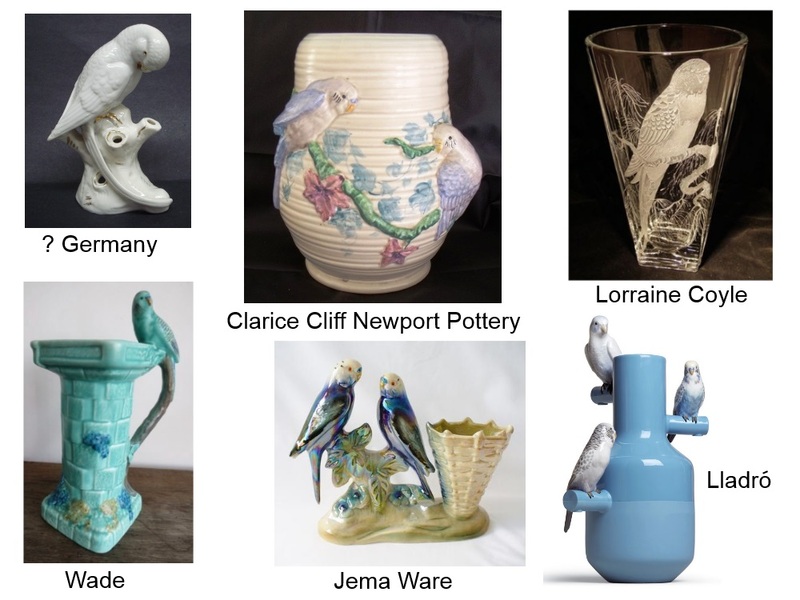 Posted on June 20, 2013 by Michelle M.
This entry was posted in Budgie Buys and tagged budgie, Budgie buys, Budgie Décor, budgie vase, Cooper, parakeet, parakeet vase by Michelle M.. Bookmark the permalink. Falcon Ware!? 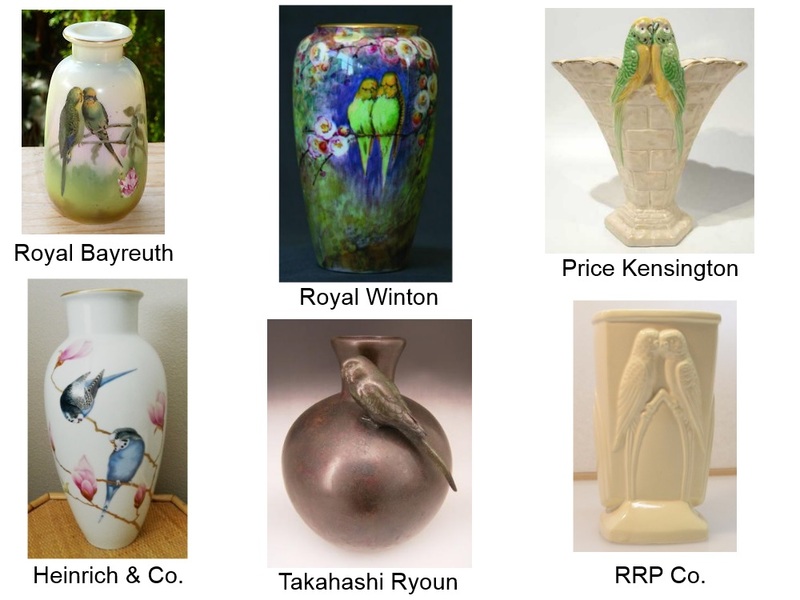 Should be Budgie Ware. 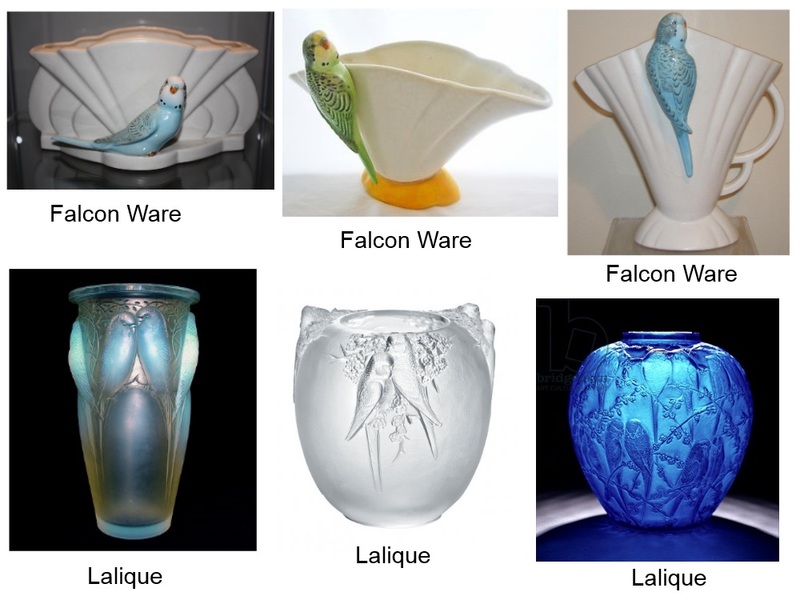 I think I like the blue Lalique. And the Takahashi.